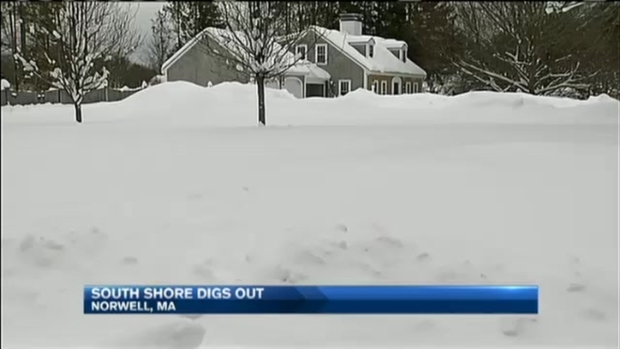 Officials in the Bay State are still trying to figure out a plan to get rid of the snow banks, and they're doing it now with limited equipment. However, help is on the way Thursday morning as equipment has been delivered to Hanscomb Air Force Base in Bedford, Massachusetts. Equipment from New York and New Jersey is expected to head out shortly to towns across Massachusetts. Backhoes, front loaders and other equipment will move into cities and towns across the hardest hit areas of the Commonwealth. National Guardsmen are removing snow from fire hydrants on the Bay State's South Shore. Crews will clear snow, widen streets and take down snow banks. A crew member from the New York Department of Transportation says what he has seen rivals the record snow Buffalo saw late last year. Even more help is expected to arrive from Vermont, Maine and Pennsylvania, and 100 additional Mass. National Guard Members will be called up to add to the 500 already out. 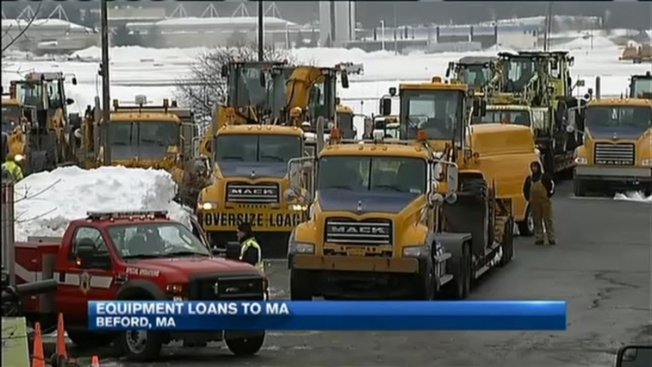 Fifty Maine National Guard troops will be sent along with heavy equipment to Massachusetts.